This is the field of expertise that we have performed for more than 27 years for our clients. Create safe, affordable solutions in rock and soil. The programs combine an attractive CAD based graphical interface with a wide range of data interpretation and modeling options – you can quickly simulate conditions, predict behavior and establish support requirements for your projects. 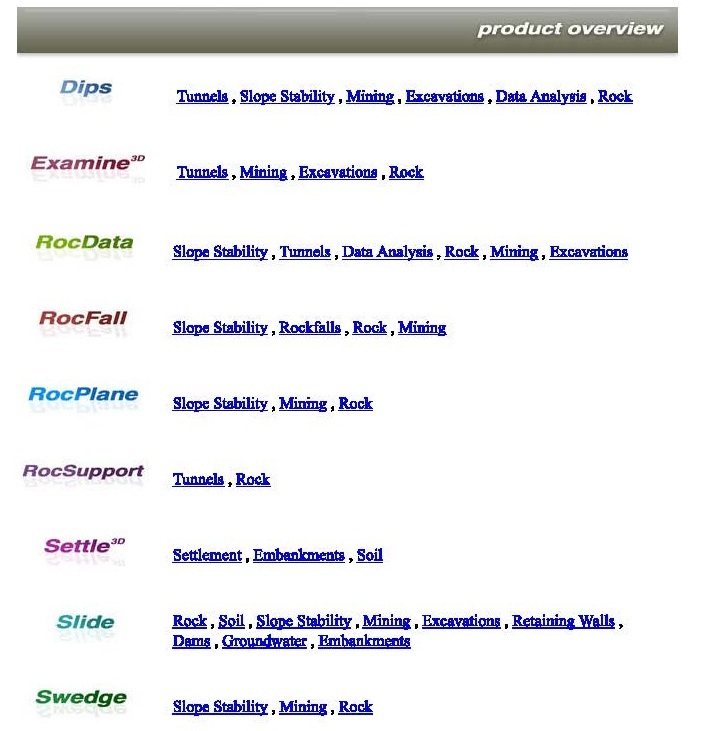 Rocscience software is extremely user-friendly, but if you need help don’t worry – Rocscience offers free technical support for all its products, provided by senior engineer-developers with experience researching and working in rock and soil. And all Rocscience products are backed by our 30-day money back guarantee. ONLY those who BUYS the software through us can enjoy the support from our senior geotechnical engineers (Mr. Gouw) on certain questions on the application of the software into practices. They also entitled for reduces fee for the consultation on the review and the application of the softwares into their projects. MSheet: reliable and fast design of sheet pile and diaphragm walls. MFoundation: design and verification of bearing/tension piles and shallow foundations. MGeobase: timesaving central environment with database, powertools and analysis control. MSettle: prediction of soil settlement caused by external loading. MSeep: simulation of two dimensional stationary groundwater flow. MWell: quick tool for drainage problems. MDrill: design of pipelines, installed with the horizontal directional drilling method. MPile: three-dimensional deformations and forces in foundation piles. 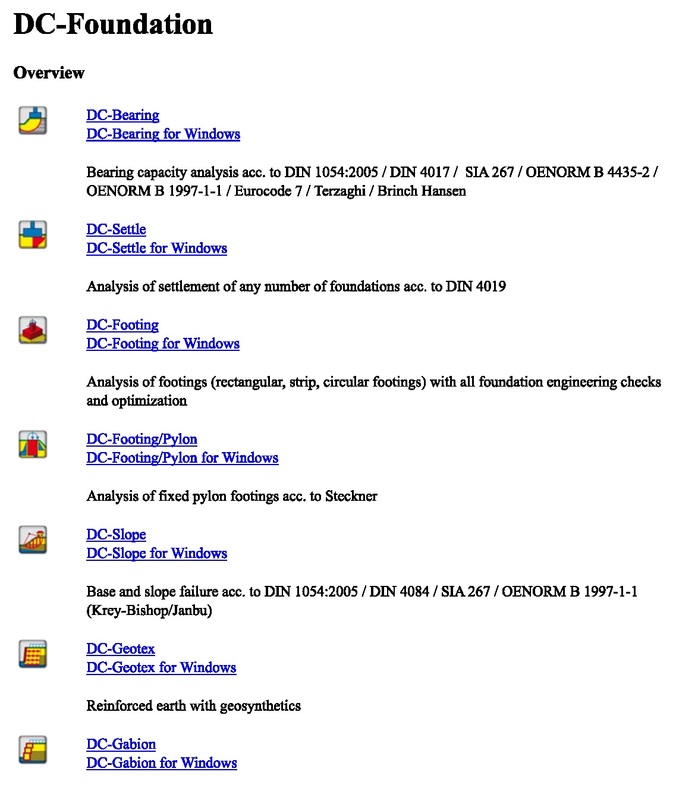 GEF-PlotTool: displays Cone Penetration Tests and Boring records, stored in GEF format. DG>Plume: easy and efficient probability-based calculation of contaminant plumes. DG>Sitescreen: contaminated land risk assessment. Plaxis is a finite element method and intended for 2-Dimensional and 3-Dimensional geotechnical analysis of deformation and stability of soil structures, as well as groundwater and heat flow, in geo-engineering applications such as excavation, foundations, embankments and tunnels. ONLY those who BUYS the software through us can enjoy the support from our senior geotechnical engineers (Mr. Gouw) on certain questions on the application of the software into practices. They also entitled for reduces fee for the consultation on the review and the application of the softwares into their projects. We have been the agent of PLAXIS for Indonesia since 1995. Our Mr. Gouw has more than 15 years of experiences on implementing the software into many geotechnical projects. The GEO5 suite of programs is designed to solve various geotechnical problems. 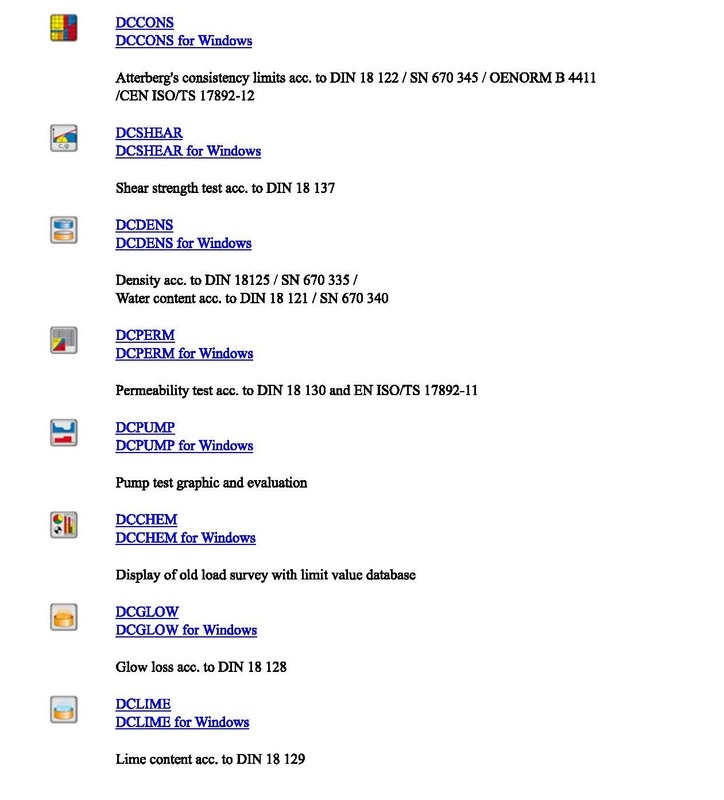 The easy-to-use suite consists of individual programs with a unified user-friendly interface. Each program is used to analyse a different geotechnical task, however all modules communicate with each other to form an intergrated package.